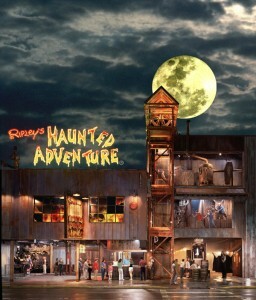 Spend an evening scared out of your wits at Ripley’s Haunted Adventure in Gatlinburg this month. October gets the whole family in training for Halloween with super-scary Fright Nights, on Friday, Saturday and Sunday evenings. For the 14th year running, Ripley’s Fright Nights feature special performances dedicated to all things Halloween, with no extra charge for the super scary experience. Ripley’s Haunted Adventure is one of the few haunted houses open all year round. The haunted house was opened on the site of a long-abandoned casket factory blamed in the early 1900s for the disappearance of local people. The site rests over a cave known as the Sink, avoided by locals and credited with driving people mad. Of course, it was the perfect place for Ripley’s to open its famous Haunted Adventure! Fright Nights boosts the usual haunted fare with increased numbers of real actors and live performers, with additional themes and surroundings, and spooky challenges to sight, sound, touch and smell. Ripley’s Haunted Adventure is a multi-million dollar, state-of-the-art haunted attraction with special effects, frights and screams for everyone. As they say at the haunted house: bring all your friends…there’s safety in numbers!